In every country there is a mode of transport that is old, weird, scary, luxurious, fast or just down right unique. Most of us are used to travelling on wheels or rails on a daily basis. But how about whizzing off at 375 mph or climbing a gradient of 52 degrees on a train? Below we discover some of the most amazing ways to travel around the globe. Also known as the Katoomba Scenic Railway, the cable-driven funicular is found in the Blue Mountains, New South Wales. It was originally constructed to transport coal and oil in the 1800s, but the mine closed in 1945 and it became a tourist attraction short after. 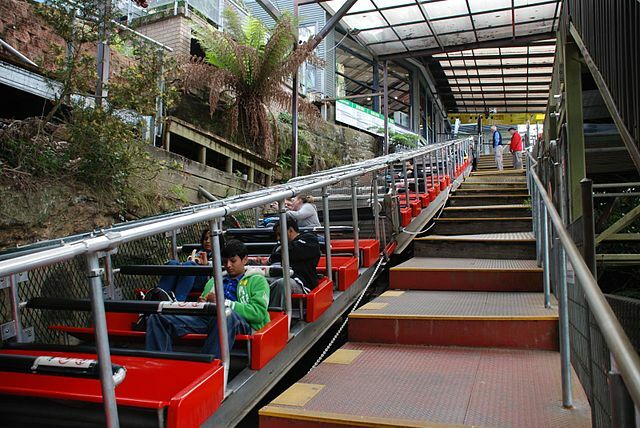 Katoomba funicular is world-renowned as the steepest cable-driven railway in the world. At its most scary, the gradient is an eye-watering 52 degrees. Visitors have been known to steer clear of the front seats! If you want to live out your James Bond fantasies, look no further than Ocean Emerald. The 41-meter superyacht was created by avant-garde architect Norman Foster and offers holiday makers the chance to cruise around South East Asia in luxury. The stunning yacht is equipped with everything imaginable, including a Michelin star chef, diving equipment and a hot tub. Vacationers can charter their own routes, taking in the azure blue waters and places such as Vietnam, Samui and Myanmar. 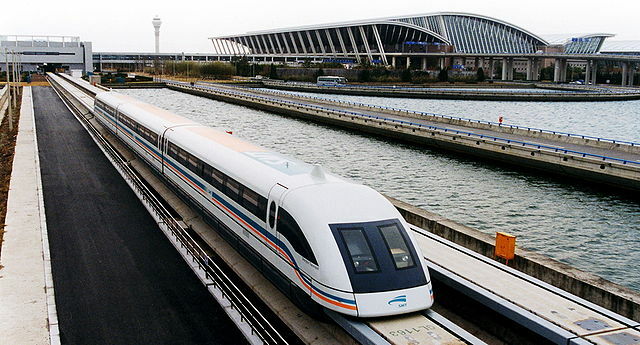 Located in Shanghai, the Maglev is the world’s fastest commercially operating train. Reaching a top speed of 431 kilometres per hour, the 19-mile journey to Pudong International Airport takes just 7 minutes. Each carriage of the train has a speedometer so that you can see for yourself. What also makes the Maglev unique is that it levitates and it is electric. Unlike traditional trains which run on tracks, the Maglev is a magnetic levitation train. This means that the train is lifted and propelled by magnets which reduces friction and allows for the very high speeds. Many would argue that a zip line isn’t a mode of transport. But, when the line is more than a mile and a half long, we think this one counts. Found at Parque de Aventura Barranca del Cobre in Mexico’s Copper Canyon, the 8,350 foot-long zip line drops visitors 1,500 feet at maximum speeds around 85 miles per hour. Riders can take in a bird’s eye view of the beautiful Copper Canyon on the 2 minute 20 second journey. From here, visitors can continue on what is known as a ‘ZipTour’ which encapsulates other zip lines and rickety wooden bridges throughout the vast canyon. Did you ever think you could travel 40 kilometres per hour on a bamboo matt? Well, in Cambodia, you can. 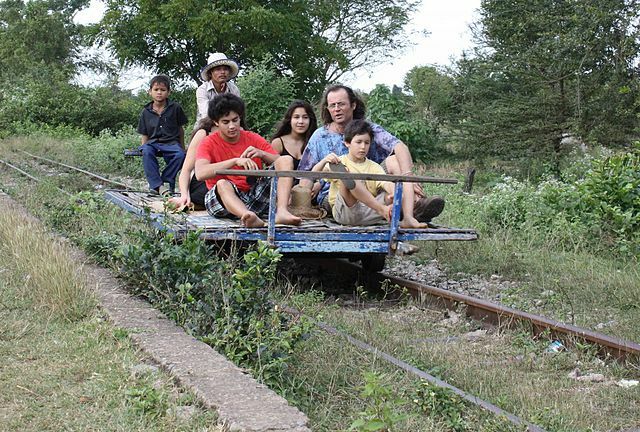 The bamboo trains run on normal tracks and are improvised vehicles that have gained notoriety. Each bamboo train (known as a nori) consists of a 3-meter-long wooden frame, covered lengthways with slats of bamboo. This simply rests on two sets of wheels with a gasoline engine. Then, off you go. Don’t panic if you meet another track-user coming towards you, simply disassemble your nori and put it back on the tracks when clear.